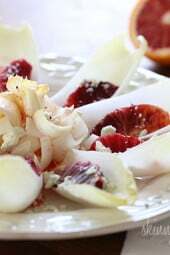 A simple salad made with endive lettuce, blood oranges, Gorgonzola with a blood orange vinaigrette. Yesterday I had the honor of being the Godmother to my beautiful niece, Mia Rose. After the church, there was a reception dinner where I totally indulged on some not-so-light dishes and of course, cake. I need to brag about this cake for a minute because my very talented aunt made this, although my iPhone really doesn’t do it justice… So pretty you almost don’t want to eat it! This morning I ran 2 miles and after my run I did some grocery shopping (best time to go food shopping BTW, I always make the best choices after working out) and found these beautiful blood oranges. I love the color of blood oranges and I seldom see them, so a salad is today’s light lunch. This is also great with goat cheese in place of gorgonzola, and you can use raspberries or strawberries in place of the oranges. Peel the orange and cut into sections. 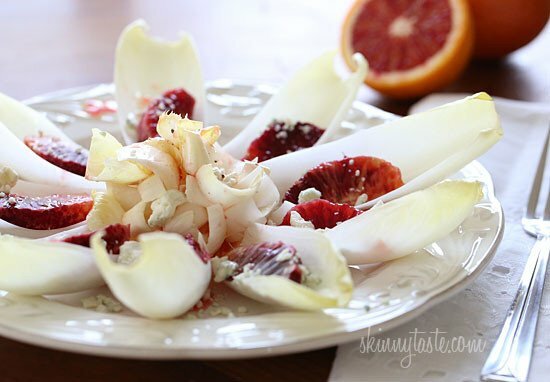 Remove the outer leaves of the endive and fan them on the plate. 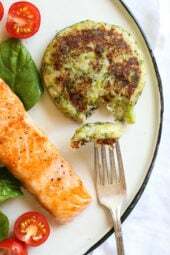 Chop the remaining smaller leaves and place them in the center of the plate. 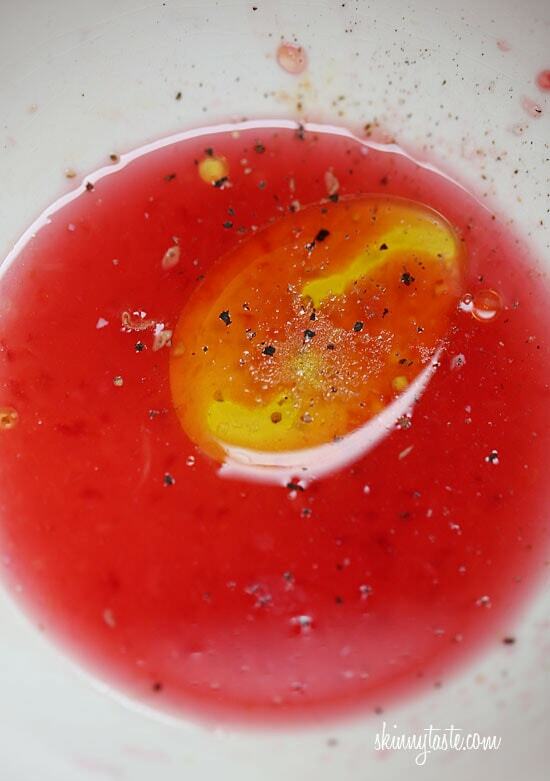 Combine the vinaigrette ingredients and whisk; drizzle over salad. 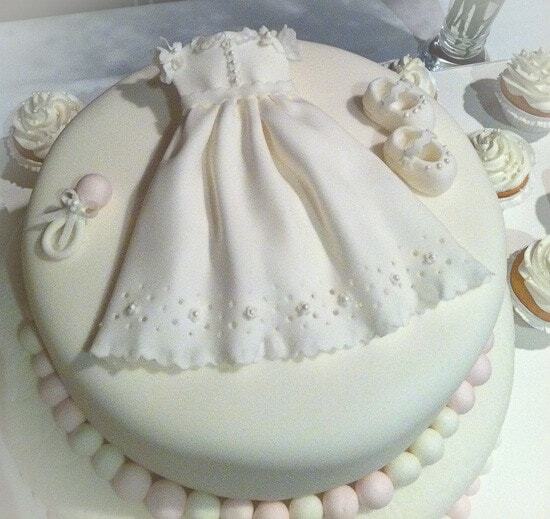 Gina – that Christening Cake is just gorgeous, amazing, beautiful. I'm so impressed. I've never seen anything like it. Congrats to your Aunt and congratulations to your family. Oh my gosh – that cake is gorgeous! That cake is beautiful – congratulations to your niece! 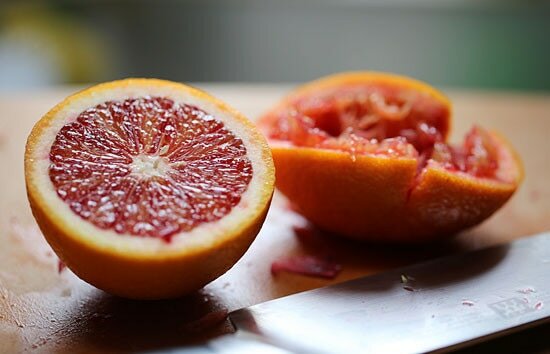 Blood oranges are so stunning aren't they? 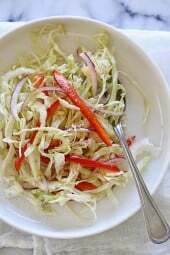 Love this salad!! I LOVE your site, and your recipes. I have to say that cake your aunt made is over the top gorgeous!! Amazing! I think even your skinny taste viewers would love to know how she made it, just for the sheer sake of seeing how a work of art like that is put together. If she is not a professional baker she needs to go into the business. I'll let her know! She should start a blog, right?! This salad is SO pretty! I wish I had blood oranges around here, is there possibly a substitue? Regular oranges would work! Mandarin oranges, or even grapefruit. 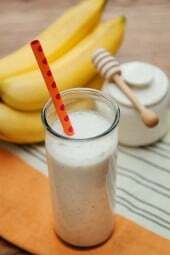 This looks really tasty! My mind is spinning furiously – I don't have endive or blood oranges but I DO have arugula and oranges. I don't have gorgonzola but I do have laughing cow. Wow! That cake is so amazing! Your aunt is extremely talented. Yum! This is beautiful and delicious looking! Can't wait to try it. PS. That cake is beautiful! I am so excited that I found this site. I have told all my friends about it. I love to cook, but we still need to be sensible about what we eat. I have tried a couple of recipies (Chicken Pot Pie Soup) and they were fabulous!! No need for healthy food to be boring! Thanks for the time and effort you put into your blog! Cake is a work of art! Salad looks delicious too–off to find blood oranges! I just recently started seeing blood oranges back on the shelves so I'm excited! This reminds me that I need to pick up some oranges to bring to my nursing lab later this week to practice giving injections lol! 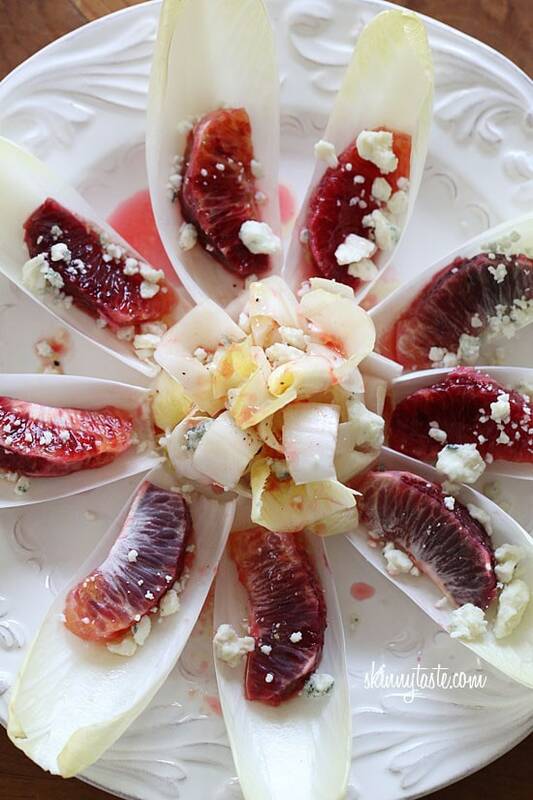 I'm allergic to blue cheeses, but I love this salad with goat cheese! A great variant is to swap/add diced roasted beets and feta (I think the roasted beets and oranges would pair nicely). Yes, that would be lovely. That cake is a work of art. Another Cake Boss. Love that salad too. That cake is amazingly beautiful!! Is the 6 points accurate? 1 tsp olive oil. 1 tbsp cheese. All the other things are 0? Sounds high for the ingredients. I just rechecked on WW etools and it came to 5 points plus. I have a blood orange tree in my backyard! This is great! Wow, that dish is breathtaking! I can't decide if I want to eat it or just stare at it! That salad looks beautiful!! I want to check my super market for some blood oranges! I am obsessed with blood oranges. They are one of my top 3 favorite fruits. I live close to Chicago and am so lucky to have them appear at my local Whole Foods every January for at least a couple of weeks. I love them on their own but recommend them in any form. Delicious! I live in Florida, and I have never seen Blood Oranges in my grocery store. And your aunt did an amazing job. The salad and the cake are both beautiful. That salad looks like a piece of art! I don't like gargonzola and I had a bad experience milking a goat so I can't do goat cheese but I think I'm going to have to make it anyway (minus the cheese please). Thank you for doing all of our dirty work and presenting us the gems. Oh and that cake…HOLY MOLEY! My compliments to the baker, that is stunning! Gina, this looks great as do all of your recipes . I left WW over the holidays and have recently returned to it. They told me about your blog, and I am totally in love with everything that I have tried. And I have been cooking up a storm ! Thanks for making dieting so tasty !